The weather is getting cooler, the leaves are changing – Fall is definitely in the air. 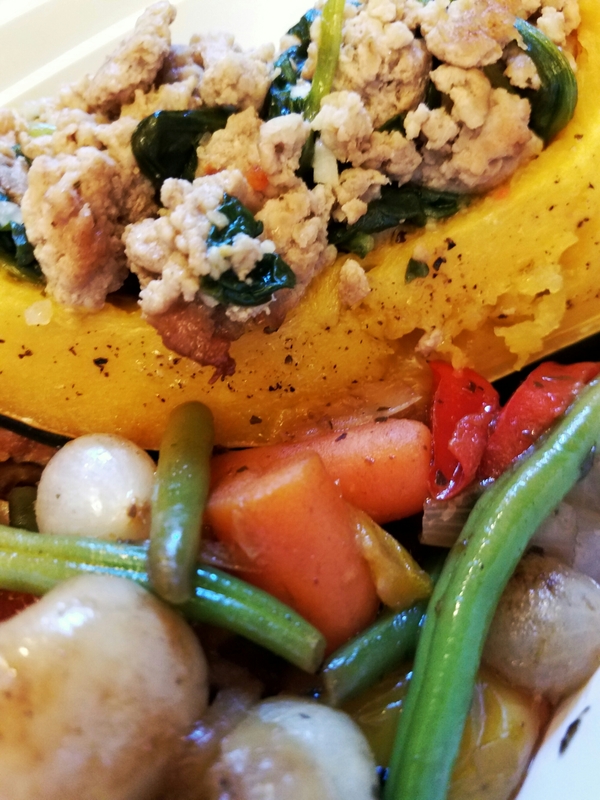 While everyone seems to be feigning over everything pumpkin-spice, I’m feigning over the other gourds: acorn squash, butternut squash, and kabocha, to list a few. 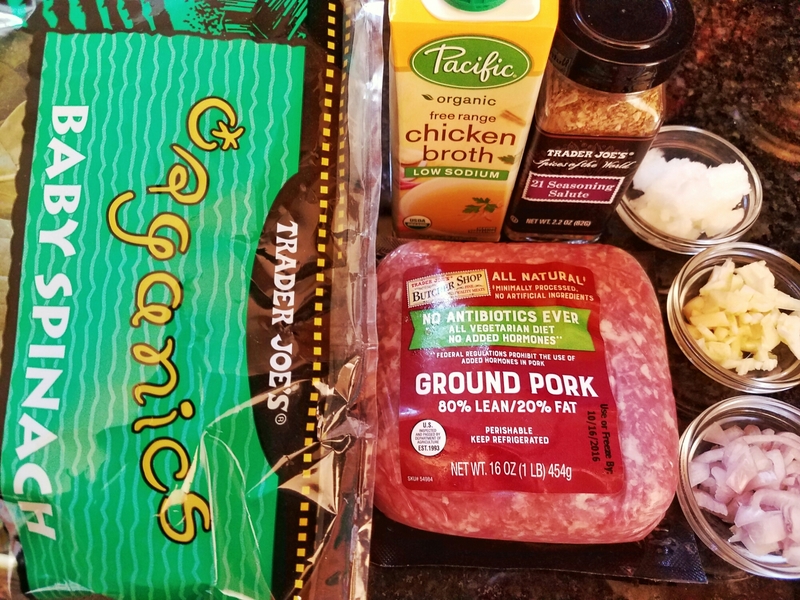 I was so excited to try this recipe. 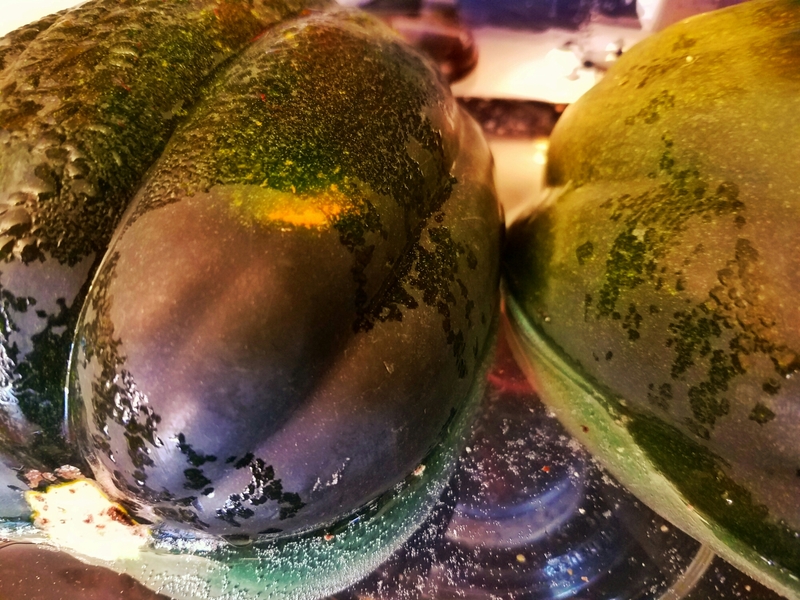 I took acorn squash, cut it in half and cleaned out the inside. I seasoned it with salt and pepper, then placed in a dish with some water. It will go in the microwave to be nuked for 8 to 10 minutes. While that is cooking, saute the shallots and garlic. Add the ground pork and stir until its no longer pink. 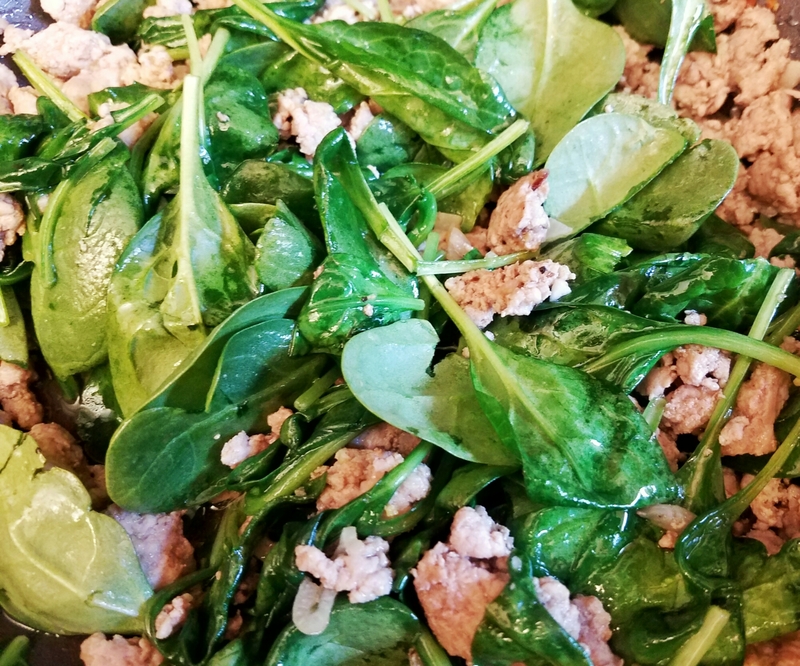 Add the seasoning and the spinach. Once the acorn squash is done, remove it from the microwave. 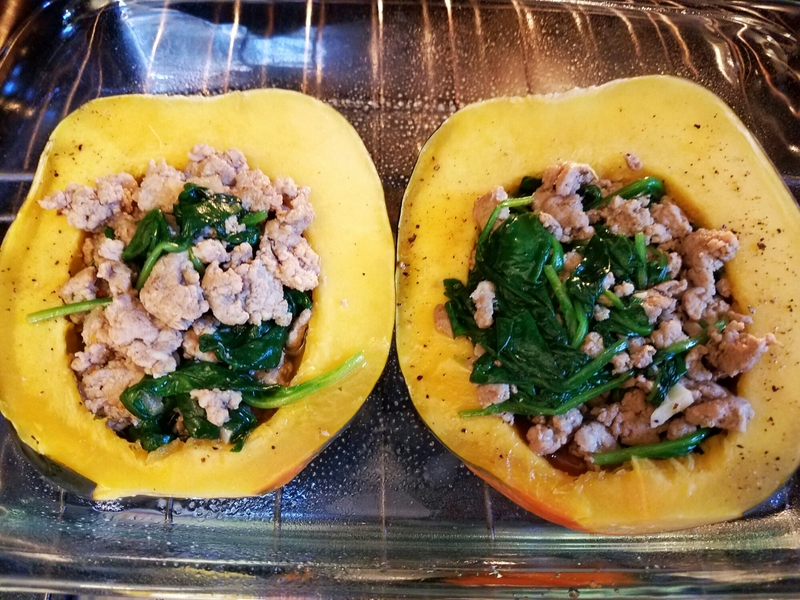 Place the pork and spinach mixture in the squash and bake at 350 degrees Fahrenheit for 45 minutes to an hour. After it was done and cooled, I cut each in half (for one-fourth of the squash) and placed it in a container. I accompanied each with some roasted vegetables or sliced tomatoes. 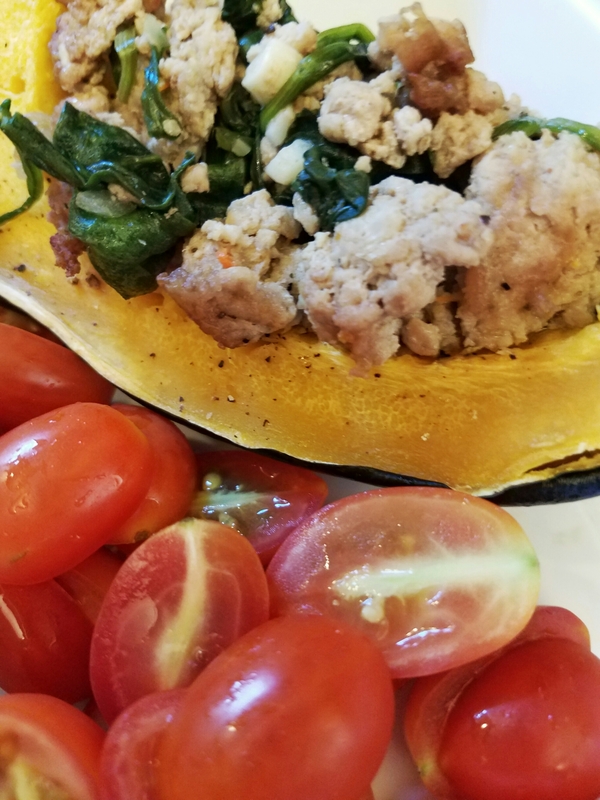 This was SO good that, if I come across the kabocha squash that the original recipe called for, I would make this again in a heartbeat!